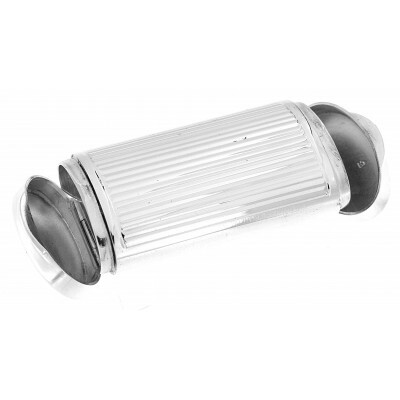 2 Compartment Handmade Italian Oval Tubular Shapes Sterling Silver Pillbox is handmade by the finest Silversmiths in Italy. This is one of the finest premium boxes we have to offer certainly an heirloom quality piece. This classic oval tubular shaped box features two compartments, one on each end. The end thumb tabs make it easy opening and a high quality handcrafted flush mount hinge. 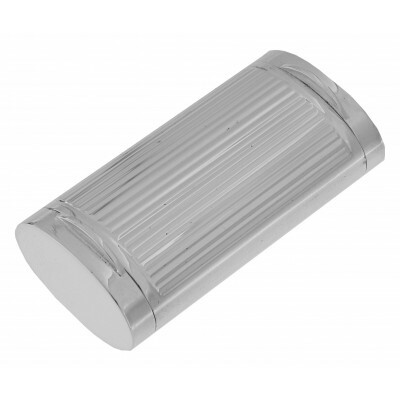 The top and bottom of this pill box is ribbed and highly polished. Handy to carry around in your pocket, purse or bag, this would make a wonderful gift for yourself or someone special. 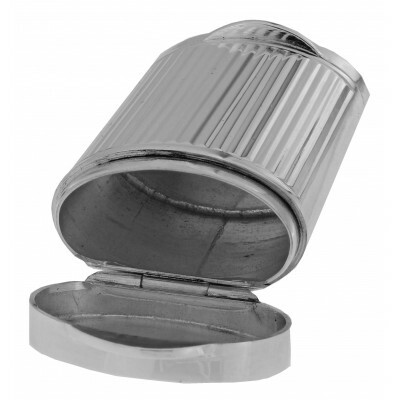 This classic style pill box is made of high quality sterling silver and comes with a money back guarantee.